Cesium radioactive isotopes (134Cs and 137Cs) are dangerous to human health due to their long half-life and high solubility in water. Nuclear experiments, wars, and nuclear plant accidents have been the main sources of Cs release into the environment. In recent years, several methods have been introduced for the elimination of Cs radioactive isotopes from contaminated water. This study provides an overview of the available published articles (2008–2016) regarding the remediation of waters polluted by Cs isotopes. The maximum adsorption capacity (MAC) of Cs isotopes corresponded to natural chabazite (273.24 mg Cs/g adsorbent), hollow Prussian blue (PB) nanoparticles (262 mg Cs/g adsorbent), and Prussian blue implemented non-woven fabric (260 mg Cs/g adsorbent). Using natural chabazite and PB adsorbents, along with another adsorbent (PB graphene oxide hydrogel), Cs radioactive isotopes can be effectively removed from the aqueous solutions. 1. Namiki Y, Namiki T, Ishii Y, Koido S, Nagase Y, Tsubota A, et al. Inorganic-organic magnetic nanocomposites for use in preventive medicine: A rapid and reliable elimination system for cesium. Pharm Res 2012;29(5):1404-18. 2. Thammawong C, Opaprakasit P, Tangboriboonrat P, Sreearunothai P. Prussian blue-coated magnetic nanoparticles for removal of cesium from contaminated environment. J Nanopart Res 2013;15(6):1-10. 3. Estournel C, Bosc E, Bocquet M, Ulses C, Marsaleix P, Winiarek V, et al. Assessment of the amount of cesium‐137 released into the Pacific Ocean after the Fukushima accident and analysis of its dispersion in Japanese coastal waters. Journal of Geophysical Research: Oceans 2012;117(C11). 4. Aono T, Fukuda M, Yoshida S, Ito Y, Ishimaru T, Kanda J, et al. Concentration fluctuation of radioactive cesium in plankton in the coastal zone of Fukushima Prefecture. Proceedings of the spring workshop on Oceanographic Society of Japan 2014; 4:21-6. 5. Giannakopoulou F, Haidouti C, Chronopoulou A, Gasparatos D. Sorption behavior of cesium on various soils under different pH levels. J Hazard Mater 2007;149(3):553-6. 6. Racine R, Grandcolas L, Grison S, Gourmelon P, Gueguen Y, Veyssiere G, et al. Molecular modifications of cholesterol metabolism in the liver and the brain after chronic contamination with cesium 137. Food Chem Toxicol 2009;47(7):1642-7. 7. Rogers H, Bowers J, Gates-Anderson D. An isotope dilution–precipitation process for removing radioactive cesium from wastewater. J Hazard Mater 2012;243:124-9. 8. Delchet C, Tokarev A, Dumail X, Toquer G, Barré Y, Guari Y, et al. Extraction of radioactive cesium using innovative functionalized porous materials. Rsc Advances 2012;2(13):5707-16. 9. Parab H, Sudersanan M. Engineering a lignocellulosic biosorbent–Coir pith for removal of cesium from aqueous solutions: Equilibrium and kinetic studies. Water Res 2010;44(3):854-60. 10. Topcuoǧlu S. Bioaccumulation of cesium-137 by biota in different aquatic environments. Chemosphere 2001;44(4):691-5. 11. Chen G-R, Chang Y-R, Liu X, Kawamoto T, Tanaka H, Kitajima A, et al. Prussian blue (PB) granules for cesium (Cs) removal from drinking water. Sep Purif Technol 2015;143:146-51. 12. Hossain M, Ngo H, Guo W, Setiadi T. Adsorption and desorption of copper (II) ions onto garden grass. Bioresour Technol 2012;121:31-38. 13. Jang J, Lee DS. Enhanced adsorption of cesium on PVA-alginate encapsulated Prussian blue-graphene oxide hydrogel beads in a fixed-bed column system. Bioresour Technol 2016;218:294-300. 14. Vijayaraghavan K, Yun Y-S. Bacterial biosorbents and biosorption. Biotechnol Adv 2008;26(3):266-91. 15. Yakout S, Elsherif E. Batch kinetics, isotherm and thermodynamic studies of adsorption of strontium from aqueous solutions onto low cost rice-straw based carbons. Carbon-Sci Technol 2010;1:144-53. 16. Okamura Y, Fujiwara K, Ishihara R, Sugo T, Kojima T, Umeno D, et al. Cesium removal in freshwater using potassium cobalt hexacyanoferrate-impregnated fibers. Radiat Phys Chem 2014;94:119-22. 17. Thammawong C, Opaprakasit P, Tangboriboonrat P, Sreearunothai P. Prussian blue-coated magnetic nanoparticles for removal of cesium from contaminated environment. Journal of nanoparticle research 2013;15(6):1689-93. 18. Ishizaki M, Akiba S, Ohtani A, Hoshi Y, Ono K, Matsuba M, et al. Proton-exchange mechanism of specific Cs+ adsorption via lattice defect sites of Prussian blue filled with coordination and crystallization water molecules. Dalton Transactions 2013;42(45):16049-55. 19. Majidnia Z, Idris A. Evaluation of cesium removal from radioactive waste water using maghemite PVA–alginate beads. Chem Eng J 2015;262:372-82. 20. Liberati A, Altman DG, Tetzlaff J, Mulrow C, Gøtzsche PC, Ioannidis JP, et al. The PRISMA statement for reporting systematic reviews and meta-analyses of studies that evaluate health care interventions: explanation and elaboration. PLoS Med 2009;6(7):21-9. 21. Fakhri Y, Bay A, Moradi B, Zandsalimi Y, Amirhajeloo LR, Langarizadeh G, et al. A review on difference effective dose of radon 222 and thoron of indoor air between black cement warehouses and stone masonry workshops. International Journal of Pharmacy and Technology 2016;8(1):3671-81. 22. Fakhri Y, Madani A, Moradi K, Mirzaei M. Determination concentration of Radon 222 in Tap drinking water, Bandar Abbas City, Iran. Journal of Environmental Science, Toxicology and Food Technology 2015;9(16):54-58. 23. Fakhri Y, Mahvi AH, Langarizadeh G, Zandsalimi Y, Amirhajeloo LR, Kargosha M, et al. Effective Dose of Radon 222 Bottled Water in Different Age Groups Humans: Bandar Abbas City, Iran. Global journal of health science 2016;8(2):64-9. 24. Saeid Motesaddi YF, Alizadeh A, Mohseni SM, Jafarzadeh S. Effective dose of Radon 222 and Thoron 220 in the indoor air of Genow hot springs of Bandar Abbas. Advances in Environmental Biology 2014;8:453-9. 25. U.S. Epa (United States Environmental Protection Agency), 40 CFR Parts 141 and 142. National Primary Drinking Water Regulations; Radionuclide 2000;65:21576–628. 26. NRA (Nuclear Regulation Authority, Japan), Readings of Radioactivity in Drinking Water by Prefecture. July–September, 2013. 27. Kioupi V, Florou H, Kapsanaki-Gotsi E, Gonou-Zagou Z. Bioaccumulation of the artificial Cs-137 and the natural radionuclides Th-234, Ra-226, and K-40 in the fruit bodies of Basidiomycetes in Greece. Environmental Science and Pollution Research 2016;23(1):613-24. 28. Rowan D. Bioaccumulation factors and the steady state assumption for cesium isotopes in aquatic foodwebs near nuclear facilities. J Environ Radioact 2013;121:2-11. 29. Water Treatment: American Water Works Association; 2011. 30. Morton RJ, Straub CP. Removal of radionuclides from water by water treatment processes. Journal American Water Works Association 1956;48(5):545-58. 31. Gäfvert T, Ellmark C, Holm E. Removal of radionuclides at a waterworks. J Environ Radioact 2002;63(2):105-15. 32. 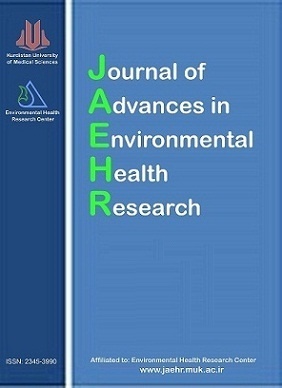 Goossens R, Delville A, Genot J, Halleux R, Masschelein W. Removal of the typical isotopes of the Chernobyl fall-out by conventional water treatment. Water Res 1989;23(6):693-7. 33. Baeza A, Salas A, Legarda F. Determining factors in the elimination of uranium and radium from groundwaters during a standard potabilization process. Sci Total Environ 2008;406(1–2):24-34. 34. Kosaka K, Asami M, Kobashigawa N, Ohkubo K, Terada H, Kishida N, et al. Removal of radioactive iodine and cesium in water purification processes after an explosion at a nuclear power plant due to the Great East Japan Earthquake. Water Res 2012;46(14):4397-404. 35. Brown J, Hammond D, Wilkins B. Handbook for assessing the impact of a radiological incident on levels of radioactivity in drinking water and risks to operatives at water treatment works: Health Protection Agency 2008;21:51-9. 36. Zhang D, Lee D-J, Pan X. Desorption of Hg (II) and Sb (V) on extracellular polymeric substances: Effects of pH, EDTA, Ca (II) and temperature shocks. Bioresour Technol 2013;128:711-5. 37. Borai E, Harjula R, Paajanen A. Efficient removal of cesium from low-level radioactive liquid waste using natural and impregnated zeolite minerals. J Hazard Mater 2009;172(1):416-22. 38. Torad NL, Hu M, Imura M, Naito M, Yamauchi Y. Large Cs adsorption capability of nanostructured Prussian Blue particles with high accessible surface areas. J Mater Chem 2012;22(35):18261-7. 39. Chen G-R, Chang Y-R, Liu X, Kawamoto T, Tanaka H, Parajuli D, et al. Prussian blue non-woven filter for cesium removal from drinking water. Sep Purif Technol 2015;153:37-42. 40. Faghihian H, Moayed M, Firooz A, Iravani M. Synthesis of a novel magnetic zeolite nanocomposite for removal of Cs+ and Sr2+ from aqueous solution: Kinetic, equilibrium, and thermodynamic studies. J Colloid Interface Sci 2013;393:445-51. 41. Wang T-H, Li M-H, Wei Y-Y, Teng S-P. Desorption of cesium from granite under various aqueous conditions. Appl Radiat Isot 2010;68(12):2140-46. 42. Long H, Wu P, Yang L, Huang Z, Zhu N, Hu Z. Efficient removal of cesium from aqueous solution with vermiculite of enhanced adsorption property through surface modification by ethylamine. J Colloid Interface Sci 2014;428:295-301. 43. Hu B, Fugetsu B, Yu H, Abe Y. Prussian blue caged in spongiform adsorbents using diatomite and carbon nanotubes for elimination of cesium. J Hazard Mater 2012;217:85-91. 44. Someda H, Elzahhar A, Shehata M, El-Naggar H. Supporting of some ferrocyanides on polyacrylonitrile (PAN) binding polymer and their application for cesium treatment. Sep Purif Technol 2002;29(1):53-61. 45. Chakraborty D, Maji S, Bandyopadhyay A, Basu S. Biosorption of cesium-137 and strontium-90 by mucilaginous seeds of Ocimum basilicum. Bioresour Technol 2007;98(15):2949-52. 46. Du Z, Jia M, Wang X. Cesium removal from solution using PAN-based potassium nickel hexacyanoferrate (II) composite spheres. J Radioanal Nucl Chem 2013;298(1):167-77. 47. Yang S, Han C, Wang X, Nagatsu M. Characteristics of cesium ion sorption from aqueous solution on bentonite-and carbon nanotube-based composites. J Hazard Mater 2014;274:46-52. 48. Vipin AK, Hu B, Fugetsu B. Prussian blue caged in alginate/calcium beads as adsorbents for removal of cesium ions from contaminated water. J Hazard Mater 2013;258:93-101. 49. De Haro-Del Rio D, Al-Joubori S, Kontogiannis O, Papadatos-Gigantes D, Ajayi O, Li C, et al. The removal of caesium ions using supported clinoptilolite. J Hazard Mater 2015;289:1-8. 50. Kapnisti M, Hatzidimitriou A, Noli F, Pavlidou E. Investigation of cesium uptake from aqueous solutions using new titanium phosphates ion-exchangers. J Radioanal Nucl Chem 2014;302(1):679-88. 51. Sheha R, Metwally E. Equilibrium isotherm modeling of cesium adsorption onto magnetic materials. J Hazard Mater 2007;143(1):354-61. 52. Awual MR, Miyazaki Y, Taguchi T, Shiwaku H, Yaita T. Encapsulation of cesium from contaminated water with highly selective facial organic–inorganic mesoporous hybrid adsorbent. Chem Eng J 2016;291:128-37. 53. Ye X, Wu Z, Li W, Liu H, Li Q, Qing B, et al. Rubidium and cesium ion adsorption by an ammonium molybdophosphate–calcium alginate composite adsorbent. Colloids Surf Physicochem Eng Aspects 2009; 342(1):76-83. 54. Park Y, Kim C, Choi S-J. Selective removal of Cs using copper ferrocyanide incorporated on organically functionalized silica supports. J Radioanal Nucl Chem 2015;303(1):199-208. 55. Park Y, Lee Y-C, Shin WS, Choi S-J. Removal of cobalt, strontium and cesium from radioactive laundry wastewater by ammonium molybdophosphate–polyacrylonitrile (AMP–PAN). Chem Eng J 2010;162(2):685-95. 56. Awual MR, Suzuki S, Taguchi T, Shiwaku H, Okamoto Y, Yaita T. Radioactive cesium removal from nuclear wastewater by novel inorganic and conjugate adsorbents. Chem Eng J 2014;242:127-35. 57. Mihara Y, Sikder MT, Yamagishi H, Sasaki T, Kurasaki M, Itoh S, et al. Adsorption kinetic model of alginate gel beads synthesized micro particle-prussian blue to remove cesium ions from water. Journal of Water Process Engineering 2016;10:9-19. 58. Caccin M, Giacobbo F, Da Ros M, Besozzi L, Mariani M. Adsorption of uranium, cesium and strontium onto coconut shell activated carbon. J Radioanal Nucl Chem 2013;297(1):9-18. 59. Ararem A, Bouras O, Bouzidi A. Batch and continuous fixed-bed column adsorption of Cs+ and Sr2+ onto montmorillonite–iron oxide composite: Comparative and competitive study. J Radioanal Nucl Chem 2013;298(1):537-44. 60. Wang T-H, Li M-H, Yeh W-C, Wei Y-Y, Teng S-P. Removal of cesium ions from aqueous solution by adsorption onto local Taiwan laterite. J Hazard Mater 2008;160(2):638-42. 61. El-Naggar M, El-Kamash A, El-Dessouky M, Ghonaim A. Two-step method for preparation of NaA-X zeolite blend from fly ash for removal of cesium ions. J Hazard Mater 2008;154(1):963-72. 62. Deng H, Li Y, Huang Y, Ma X, Wu L, Cheng T. An efficient composite ion exchanger of silica matrix impregnated with ammonium molybdophosphate for cesium uptake from aqueous solution. Chem Eng J 2016;286:25-35. 63. Han F, Zhang G-H, Gu P. Adsorption kinetics and equilibrium modeling of cesium on copper ferrocyanide. J Radioanal Nucl Chem 2013;295(1):369-77. 64. Sangvanich T, Sukwarotwat V, Wiacek RJ, Grudzien RM, Fryxell GE, Addleman RS, et al. Selective capture of cesium and thallium from natural waters and simulated wastes with copper ferrocyanide functionalized mesoporous silica. J Hazard Mater 2010;182(1):225-31. 65. Krishna MB, Rao S, Arunachalam J, Murali M, Kumar S, Manchanda V. Removal of 137Cs and 90Sr from actual low level radioactive waste solutions using moss as a phyto-sorbent. Sep Purif Technol 2004;38(2):149-61. 66. Jeon C, Cha J-H. Removal of cesium ions from waste solution using sericite incorporated into nickel hexacyanoferrate. Korean J Chem Eng 2015;32(11):2273-9. 67. Sasaki T, Tanaka S. Magnetic separation of cesium ion using Prussian blue modified magnetite. Chem Lett 2012;41(1):32-4. 68. Osmanlioglu AE. Removal of radioactive contaminants by polymeric microspheres. Environ Technol 2016;37(22):2830-4. 69. Yavari R, Huang Y, Ahmadi S. Adsorption of cesium (I) from aqueous solution using oxidized multiwall carbon nanotubes. J Radioanal Nucl Chem 2011;287(2):393-401. 70. Tsai S-C, Wang T-H, Li M-H, Wei Y-Y, Teng S-P. Cesium adsorption and distribution onto crushed granite under different physicochemical conditions. J Hazard Mater 2009;161(2):854-61. 71. Miura A, Kubota T, Hamada K, Hitomi T. Adsorption efficiency of natural materials for low-concentration cesium in solution. Water Sci Technol 2016;73(10):2453-60. 72. Nilchi A, Saberi R, Moradi M, Azizpour H, Zarghami R. Adsorption of cesium on copper hexacyanoferrate–PAN composite ion exchanger from aqueous solution. Chem Eng J 2011;172(1):572-80. 73. Kim J-O, Lee S-M, Jeon C. Adsorption characteristics of sericite for cesium ions from an aqueous solution. Chem Eng Res Des 2014;92(2):368-74. 74. Krishna MB, Arunachalam J, Murali M, Kumar S, Manchanda V. Performance of immobilized moss in the removal of 137Cs and 90Sr from actual low-level radioactive waste solutions. J Radioanal Nucl Chem 2004;261(3):551-7. 75. Avramenko V, Bratskaya S, Zheleznov V, Sheveleva I, Voitenko O, Sergienko V. Colloid stable sorbents for cesium removal: preparation and application of latex particles functionalized with transition metals ferrocyanides. J Hazard Mater 2011;186(2):1343-50. 76. Ding D, Zhao Y, Yang S, Shi W, Zhang Z, Lei Z, et al. Adsorption of cesium from aqueous solution using agricultural residue–Walnut shell: Equilibrium, kinetic and thermodynamic modeling studies. Water Res 2013;47(7):2563-71. 77. Bouzidi A, Souahi F, Hanini S. Sorption behavior of cesium on Ain Oussera soil under different physicochemical conditions. J Hazard Mater 2010;184(1):640-6. 78. Hamed MM, Attallah M, Shehata F. Synthesis, characterization and sorption Behavior of some radionuclies on zirconium tungstate ion exchanger. Arab J Nucl Sci Appl 2012;45:37-50. 79. Al-Shahrani S, Roberts E. Electrokinetic removal of caesium from kaolin. J Hazard Mater 2005;122(1):91-101. 80. Dahiya S, Tripathi R, Hegde A. Biosorption of heavy metals and radionuclide from aqueous solutions by pre-treated arca shell biomass. J Hazard Mater 800;150(20):376-86. 81. Ararem A, Bouras O, Arbaoui F. Adsorption of caesium from aqueous solution on binary mixture of iron pillared layered montmorillonite and goethite. Chem Eng J 2011;172(1):230-6. 82. Chen C, Wang J. Removal of Pb2+, Ag+, Cs+ and Sr2+ from aqueous solution by brewery's waste biomass. J Hazard Mater 2008;151(1):65-70. 83. Marcus Y. Thermodynamics of solvation of ions. Part 5. Gibbs free energy of hydration at 298.15 K. J Chem Soc, Faraday Trans 1991;87(18):2995-9. 84. Liang T-J, Hsu C-N. Sorption of cesium and strontium on natural mordenite. Radiochimica acta 1993;61(2):105-8. 85. Dyer A, James N, Terrill N. Uptake of cesium and strontium radioisotopes onto pillared clays. J Radioanal Nucl Chem 1999;240(2):589-92. 86. Li B, Liao J, Zhang D, Zhao J, Yang Y-Y, Cheng Q, et al. Adsorption of cesium by vermiculite. Journal-Sichuan University Natural Science Edition 2008;45(1):115. 87. Kim CK, Kong JY, Chun BS, Park J-W. Radioactive removal by adsorption on Yesan clay and zeolite. Environmental earth sciences 2013;68(8):2393-8. 88. Long H, Wu P, Zhu N. Evaluation of Cs+ removal from aqueous solution by adsorption on ethylamine-modified montmorillonite. Chem Eng J 2013;225:237-44. 89. Bayülken S, Başçetin E, Güçlü K, Apak R. Investigation and modeling of cesium (I) adsorption by Turkish clays: bentonite, zeolite, sepiolite, and kaolinite. Environ Prog Sustain Energy 2011; 30(1): 70-80. 90. Chitrakar R, Makita Y, Sonoda A. Cesium Ion Uptake by Synthetic K-birnessite K 0.30 (Mn4+ 0.90 Mn3+ 0.03 □ 0.07) O2· 0.50 H2O. Chem Lett 2013;42(9):1032-4. 91. Suzuki N, Ozawa S, Ochi K, Chikuma T, Watanabe Y. Approaches for cesium uptake by vermiculite. J Chem Technol Biotechnol 2013; 8(9):1603-5. 92. Hara S, Tanaka H, Kawamoto T, Tokumoto M, Yamada M, Gotoh A, et al. Electrochromic thin film of Prussian blue nanoparticles fabricated using wet process. Jpn J Appl Phys 2007;46(10L):L945. 93. Omura A, Shiozaki H, Hara S, Kawamoto T, Gotoh A, Kurihara M, et al. Electrochromic thin film of water-dispersible Prussian-blue nanoparticles. IEICE transactions on electronics 2008; 91(12): 1887-8. 94. Sasaki T, Tanaka S. Magnetic separation of cesium ion using Prussian blue modified magnetite. Chem Lett 2011;41(1):32-4. 95. Ricci F, Amine A, Palleschi G, Moscone D. Prussian Blue based screen printed biosensors with improved characteristics of long-term lifetime and pH stability. Biosensors and Bioelectronics 2003;18(2):165-74. 96. Lai Y-C, Chang Y-R, Chen M-L, Lo Y-K, Lai J-Y, Lee D-J. Poly (vinyl alcohol) and alginate cross-linked matrix with immobilized Prussian blue and ion exchange resin for cesium removal from waters. Bioresource technology 2016;214:192-8. 97. Chen G-R, Chang Y-R, Liu X, Kawamoto T, Tanaka H, Parajuli D, et al. Cesium removal from drinking water using Prussian blue adsorption followed by anion exchange process. Separation and Purification Technology 2017;172:147-51. 98. Liu X, Chen G-R, Lee D-J, Kawamoto T, Tanaka H, Chen M-L, et al. Adsorption removal of cesium from drinking waters: A mini review on use of biosorbents and other adsorbents. Bioresource technology 2014;160:142-9.